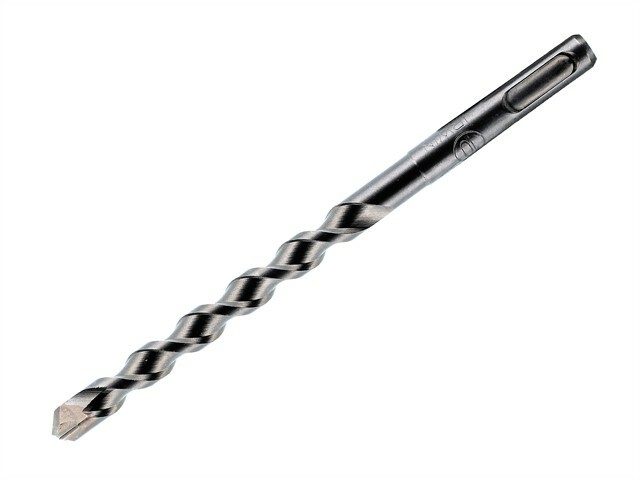 The Irwin SDS Speedhammer Plus Drill Bits are designed for SDS drilling. They drill exceptionally fast into brick, block, masonry, concrete and granite. The patented, unique single flute design ensures efficient, speedy removal of dust and lower vibrations and 28% greater capacity meaning more efficient waste removal. They have a patented extra short drill bit head which means the head takes 80% of the workload, ensuring higher durability and speed. Clears drilling dust directly into the flute, reducing the risk of clogging. The bits have 25% more tungsten carbide for extra strength and they drill 25% faster than competitive drill bits with the same high durability. In addition, they have more aggressive cutting angles and self-centring for faster drilling.